Dining in the summer heat can be tricky. Let’s be honest, sweaty humidity doesn’t exactly do wonders for the appetite. There’s one that dish that is a real hero at this time of year – salads. Though not generally a food that we think should be paired with wine, when it’s this hot out we ask: why not? We’ve run through some of the tastiest salads around and put a lot of thought into what bottle should go with them. Read on to find the best wine pairing for each of these summer saviours. 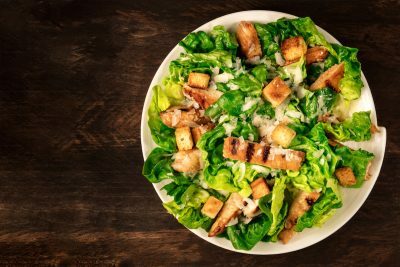 There are a few notable elements to a classic Caesar Salad – romaine lettuce, croutons, usually chicken – but its the seasoning that gives it its characteristically rich, creamy flavour. Made with eggs, mustard, Parmesan cheese and a host of seasonings, it takes a white wine with some weight and acidity to stand up to it. A Sauvignon Blanc will do the trick nicely, as will a non-oaked Chardonnay or Chablis. 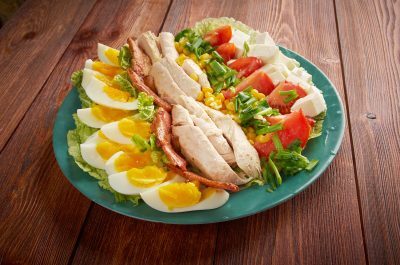 There is a fierce debate about what should be including in a ‘real’ niçoise salad – some readers may already be aghast at certain fish and carbs in the picture above. 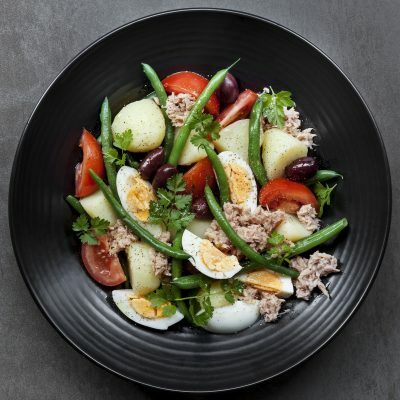 Classic ingredients are tomatoes, green beans, hard-boiled eggs, olives and anchovies with an olive oil dressing, though to many the plate won’t be complete without tuna and possibly potatoes too. For this classically southern French salad – conceived of and named for the area around Nice – only one thing will do, a dry rosé to complement the vegetables and slice through any fatty tuna. Preferably a local bottle. A light red Burgundy might also do the trick if you’re looking for something heavier. 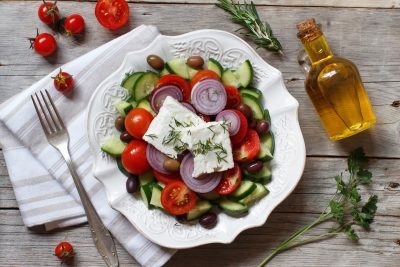 Greek salads are typically made with chopped tomatoes, cucumber, onion and – crucially – feta cheese, simply seasoned and dressed with salt, oregano and olive oil. Because of the zippy, acidic flavour of the seasoning and the salty flavours of feta cheese, you’ll want to avoid anything overly tannic, so a rich red is a no-go – they’ll end up tasting a little sour. Instead go for classically fruity Mediterranean white wines, particularly those of Spain like Verdejo or even a Spanish Chardonnay. Failing that, a Sauvignon Blanc is a good option to fall back on. Simple. Sophisticated. Sublime. 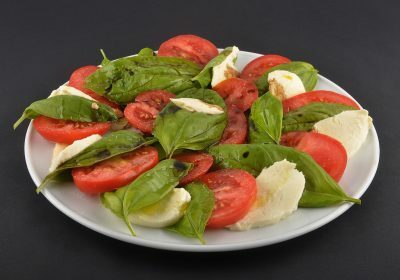 An easy cocktail of mozzarella, tomatoes, basil and olive oil, a good caprese uses great ingredients to elevate the humble salad to something else entirely, and deserves a wine to match. It’s a safe bet to go with some Italian classic red, like a Sangiovese or Chianti, but other fruity Mediterranean reds, like a classic Rioja, will also provide a perfect complement, particularly to the rich creaminess of mozzarella. You can handle the ingredients – we’ll take care of the wine. 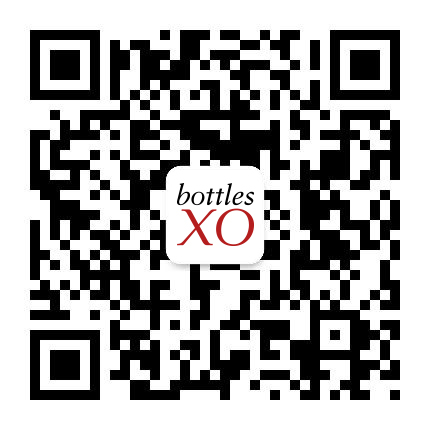 Click here to download the BottlesXO and get quality wines delivered – chilled – to wherever you are in Shanghai and Suzhou in under one hour.